The upperside of the forewing, never seen at rest, is orange with a bread brown border. 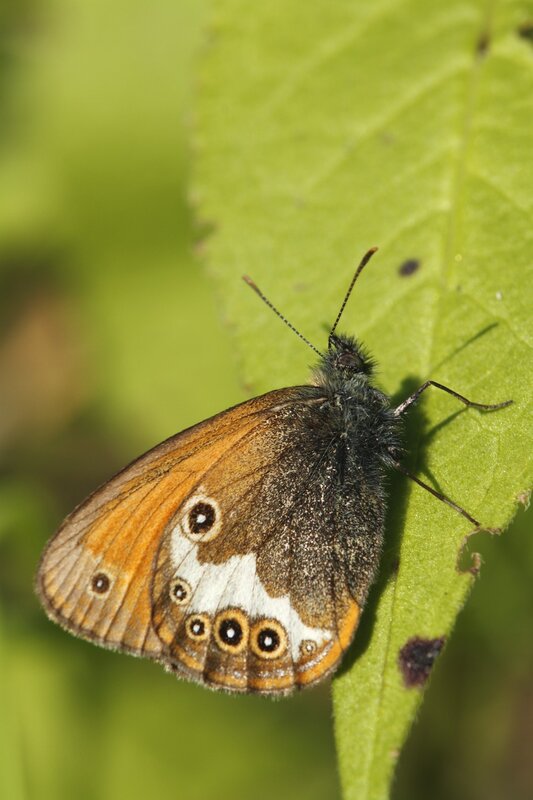 The upperside of the hindwing is greyish brown with a paler post-discal band. Near the rear a narrow orange submarginal line is visible and traces of eye-spots. 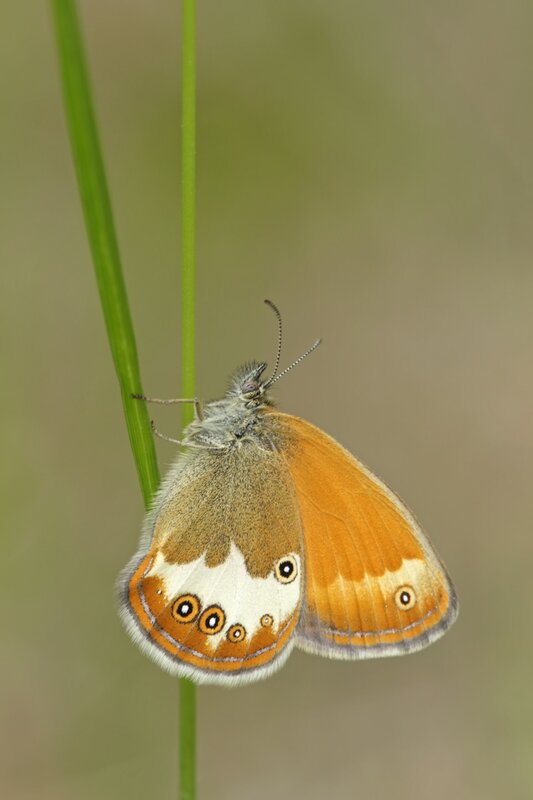 The underside of the forewing is orange with a brown border and a small eye-spot. 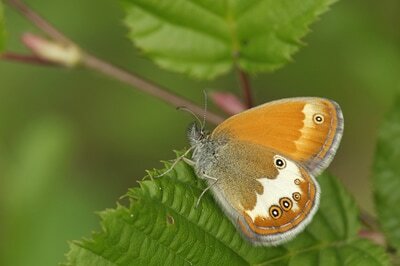 The underside of the hindwing is golden brown ith a broad white or cream stripe, eye-spots and a silvery-grey thin line. Flight from May to September in one or two broods. The habitat are grasslands and light woodland. Very common in hilly areas with well-drained slopes. The larval foodplants are various grasses, especially melicks.